In 1991 a new malthouse with a capacity of 85 thousand tons started operating in Tekeli. The malthouse had modern equipment and at the time of construction it was planned that the production of the malthouse would be supplied beside Kazakhstan to other republics of Central Asia and the Siberian breweries. In 1997 company Obchodni sladovny the leading Czech malt producer became the main shareholder of the enterprise which at that time had the name "Altyn-Bidai". The new owner aimed to organize import of qualitative brewing barley and started selection of its sorts taking into account the local conditions. Despite all the efforts to enter into cooperation with local agricultural producers, Tekeli malthouse always experienced difficulties with malting barley. The weather conditions of Kazakhstan (sharply continental climate), makes it impossible to get stable qualitative characteristics of barley. Thus, the company occupied the niche of the supplier of inexpensive production with medium quality which was bought for local beer sorts production. 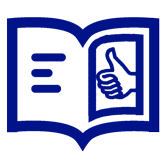 At the beginning of 2000s the shares of the parent company was acquired by group Soufflet. 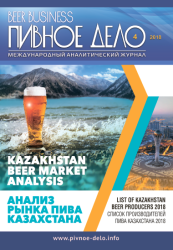 As a result of the reorganization Kazakh malthouse accordantly came under control of even bigger international company Soufflet and started working more actively on cooperation with growers and on malting barley quality control. However, although the plant capacity could fully satisfy need for raw materials of the national producers, the malt for expensive beer sorts is still imported from abroad and in comparatively big volumes. Lack of barley of acceptable quality is still an acute issue for Tekeli malthouse according to the local administration. Because of problems with acceptable raw materials, during last two years the enterprise has to stand idle in summer, waiting for the grain of new harvest. In 2010, when the world and the local markets were affected by malt overproduction in 2008-2009, Soufflet demonstrated fast production growth which was supported by positive dynamics of the local brewers. But in 2010 there was a dramatic change on the barley market and in 2011 the volumes of the plant malt production started falling. Despite the …% production cut, the company revenue growth in 2011 was proportional and totaled …%. The company apparently increased selling prices considerably. However the outrunning growth of the raw materials cost price connected to higher prices for brewer's malt led to a serious decline of the company's total profit. In 2012 the company saw even bigger production decline, that is by …%. At the beginning the malt production cut coincided with the negative tendency of the brewing industry in Kazakhstan. However, when in 2012 the local beer producers demanded more malt, the plant, as we see, continued to reduce the production. The key Soufflet outlet, apart from the national one, was and still is Uzbekistan. Essentially, it is this country's demand for malt that defines the company's export dynamics. About ten big enterprises importing malt operate in the domestic market. But in 2011 the most prominent local producer, Uzbek subdivision of Carlsberg started experiencing pressing from the government, which first led to delivery interruptions and then even to enterprise operation halt. The malt import to Uzbekistan, accordingly, shrank. Next 2012 turned out to be unsuccessful for all beer producers. Their production is ranked as strong alcohol and their distribution as category was sharply restricted which negatively affected the sales against the background of the selling price growth. The structure of the malt import to Kazakhstan has changed considerably for the last five years. Prior to the crisis against the background of malt price growth and of the intensive breweries proliferation, producers opted for expensive … malt. And …, though being an important supplier, practically stopped deliveries to Kazakhstan in 2008, when Kazakhstan earlier than many other countries faced recession. 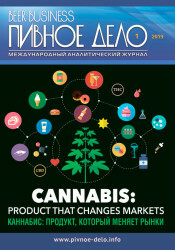 Then the significance of … grew again and the suppliers from far-abroad countries eventually disappeared from the market, and … being Customs union partner of Kazakhstan became the leading supplier by the volume of deliveries. 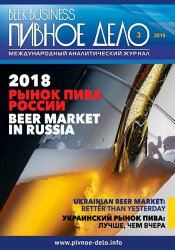 Prospects for 2013 inspire some optimism, as Russian, Belarusian, and Ukrainian agricultural producers gathered a rich crop of qualitative malting barley. They will be able to give a full load to malthouse Soufflet, if only foreign malt producers have not concluded contracts for year with Kazakh brewers yet.